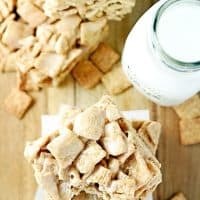 CINNAMON TOAST CRUNCH BARS — Cinnamon Toast Crunch cereal combined with butter and marshmallows for a sweet and crunchy treat. Cinnamon Toast Crunch has always been one of my favorite sugar-laden cereals. All of my kids love it too! So it’s no surprise that these Cinnamon Toast Crunch Bars were a huge hit at my house! 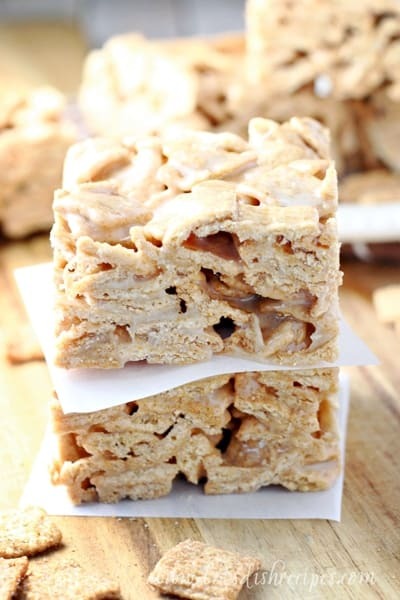 I pretty much love any kind of marshmallow coated cereal bar, so I’m surprised it too me this long to think of using Cinnamon Toast Crunch to create a delicious, gooey confection. And let’s be honest, you really can’t go wrong with a three ingredient treat that’s ready in about 10 minutes. Next time, I’m going to double the batch, because my husband and kids devoured these almost as fast as I made them. I can’t blame them. 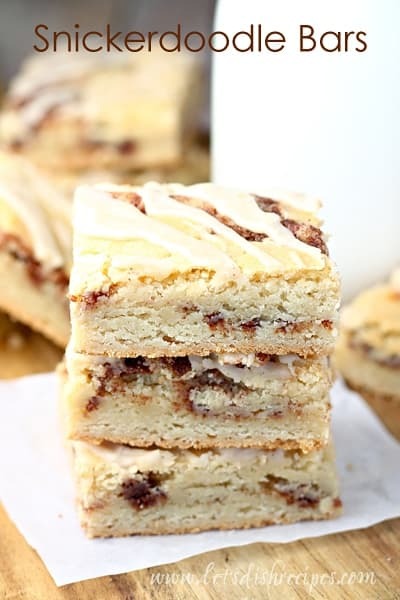 These crunchy, chewy, cinnamon and sugar flavored bars are pretty irresistible! In fact, I’m going to start keeping the ingredients on hand just so I can whip up a batch of Cinnamon Toast Crunch Bars at a moment’s notice. If you’ve ever made Rice Krispies Treats, this is basically the same process. Except I like this version even better. And that’s really saying something, because I love Rice Krispies Treats! You do have to stir this cinnamon toast version a bit more carefully, so you don’t break up the cereal. I also like to butter a sheet of waxed paper and use that to press the marshmallow coated cereal into the pan–which should also be buttered. 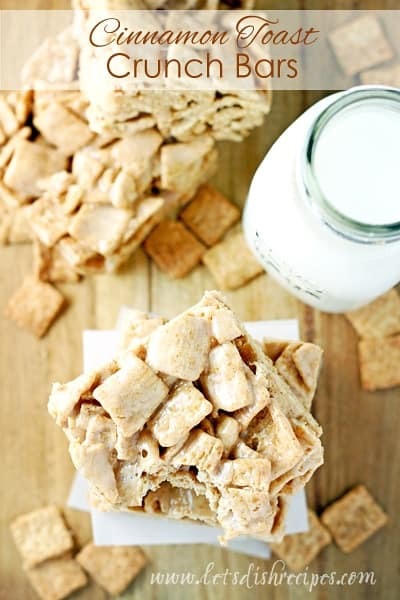 Butter, marshmallows and Cinnamon Toast Crunch–it’s pretty much a match made in heaven! 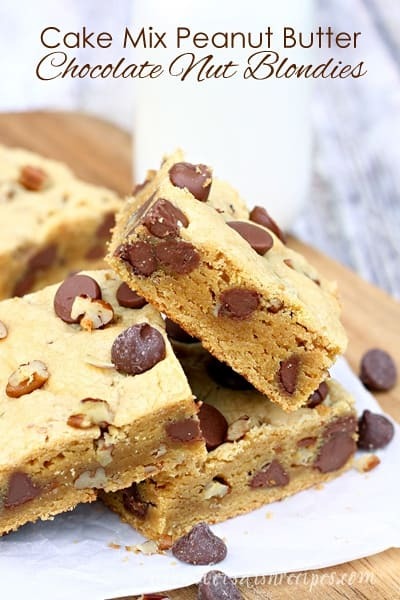 Trust me, you need to make these! Just be sure you have someone to share with, otherwise you’ll be tempted to eat the entire pan yourself! Be sure to save this recipe for Cinnamon Toast Crunch Bars to your favorite Pinterest board for later. Butter a 9-inch square pan. Set aside. Pour the cereal into a large bowl. In a large pot, melt butter over medium low heat. Stir in the marshmallows and continue cooking and stirring until the mixture is completely melted and smooth. Pour the marshmallow mixture over the cereal and stir to coat. Press the coated cereal into the prepared pan. Cool and cut into bars to serve. What a significantly yummier snack than Rice Krispy Treats. I could probably eat about 3 of these in one sitting! 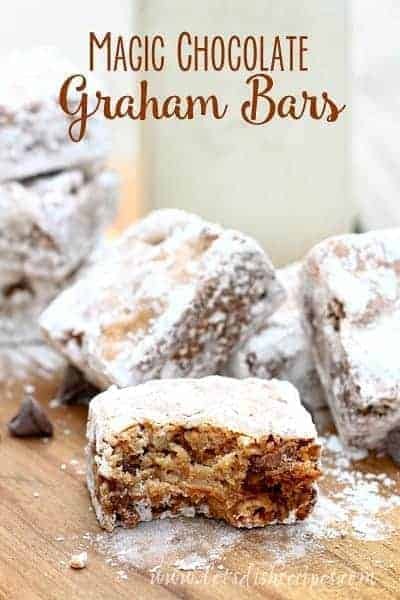 Add a cup of coffee with Rumchata (which is a rum beverage that tastes like Cinnamon Toast Crunch) and I’ll be there for 4-5 of these bars lol. Yes! I ate WAY too many! 🙂 Thank you!